The CrossFit training system is becoming more and more popular in the US and around the world. 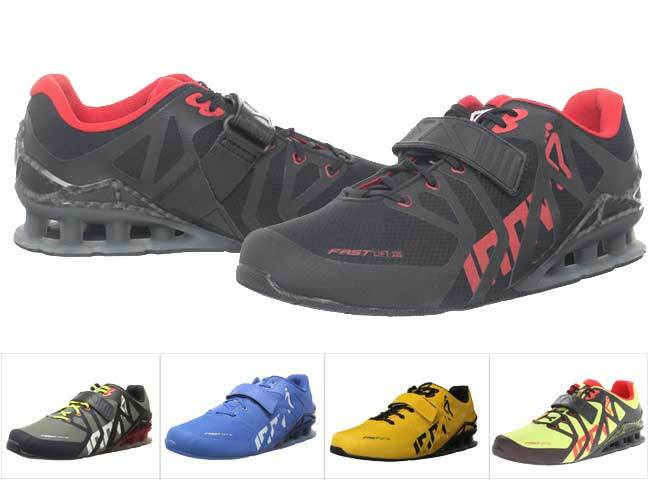 Given that so many new enthusiasts join the gyms every day, it is only natural that the biggest names in sports gear production have started designing Crossfit shoes and accessories especial suited for this interdisciplinary training system. Given the wide range of exercises, and the intensity of CrossFit training, it is an absolute must to find the right shoes to provide comfort, stability and accelerated performance during the training sessions. 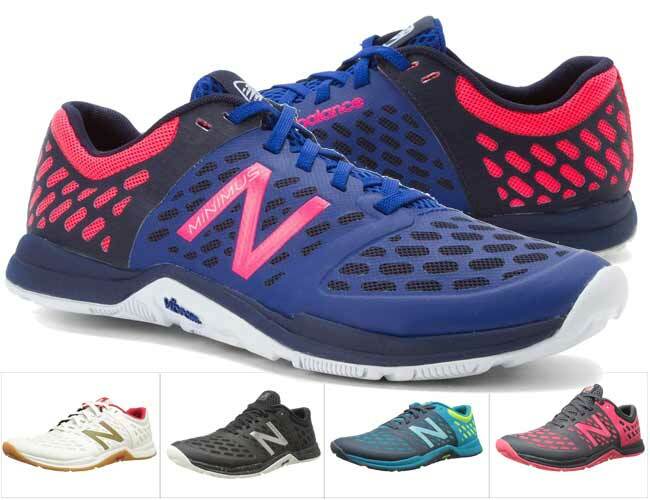 There are hundreds of sports shoes which can be identified as suitable for the widely varied mix of aerobic exercise, gymnastics, zumba dancing and Olympic weight lifting included in the CrossFit workouts, which can make finding the best pair quite confusing and time consuming, so this is why our intention is to point out our top picks for the best sports shoes for CrossFit for 2015, based on our personal trials and experience. What are the best crossfit shoes for women? Our first recommendation for the four top CrossFit shoes for women is the Inov-8 Bare-XF 210 model. With its zero drop midsole and an air mesh upper, these lightweight and flexible shoes are perfect for ladies who want to get the best from their WODs in the CrossFit gym. 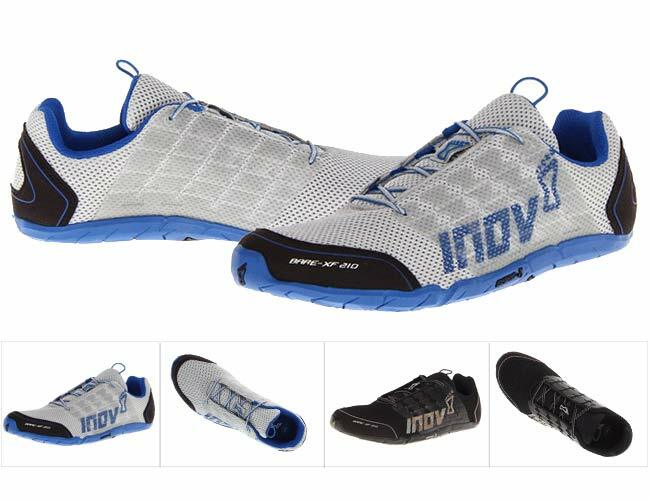 Since they specialize in off-road running shoes and accessories, Inov-8 have managed to create these perfect shoes suitable for lifting, running, climbing and to withstand any type of intensive exercising. The zero drop height of the model allows the feet to perform natural heel to toe movements when running, and to create a close contact of the feet to the floor needed for more successful weightlifting. The outsole has an extra grip, to prevent slipping or falling during intensive exercising. So with its lightweight and flexibility, along with the ultra-grip and zero drop, we must say that we are strongly impressed by the Bare-XF 210, and we strongly recommend them for ladies who want to effectively and safely practice this wonderful sport. The Minimus CrossTraining shoes are another top model for this intensive training specifically for women that is worth noting. These minimalistic sneakers offer a perfect stability and protection mimicking a barefoot performance, which is crucial to improve the posture and decrease the risk of injury while weightlifting, running or performing intensive exercise during the WODs. The WX20v5 have a minimal 4mm heel to toe drop, a vibram sole, and synthetic and mesh upper. They are treated antimicrobialy in order to improve breathability and reduce odor during exercising and running. This particular model has a wider toe-box which is especially suitable for ladies with wider feet or bunions. So, given the functionality, breathability and stability of this pair, we strongly recommend them for women who are CrossFitters, or simply want to have light, flexible and comfortable sneakers for everyday. The Nano 7.0 trainers for women are another model which we strongly recommend for ladies who are looking for the best shoes for CrossFit. They have a versatile design created to suit the biomechanics of the foot and the moment of the legs during running, weightlifting and while performing intensive and tough workouts. Though they are minimalistic, these training shoes provide an extra protection via a special Metasplit groove outsole and RopePro wraps on the sides. The upper features an innovative DuraCage design giving them lightweight support and great protection, this combined with the Dual Density rear foot protection function makes the Nano 7.0 a comfortable, functional, breathable and high-quality durable shoe perfect for intensive cross training. 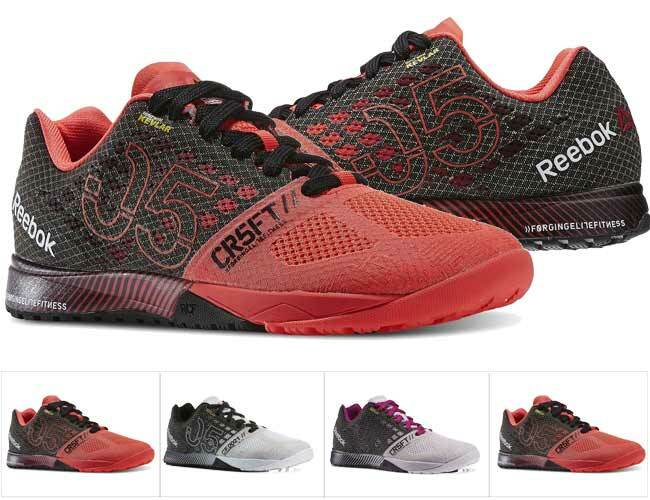 Last but not least on our list of the best shoes for CrossFit for women are another pair created by Reebok – the One Trainer 2.0 CrossTraining shoes for women. The design of these low cut sneakers is stylish and clean. They are amazingly light and yet give that extra support to the feet and the body while weightlifting or performing vigorous cross training exercises. These One Trainer 2.0 offer a very comfortable fit without a break-in period, so women can slip them on and go off to their WOD without worrying that they will get sore and blistered feet. The extra grip provided from the outsole will provide extra safety and protection from injury while weightlifting or intensive exercise. They have carbon rubber heel strikes and feature a removable ortholite sockliner for extra comfort. 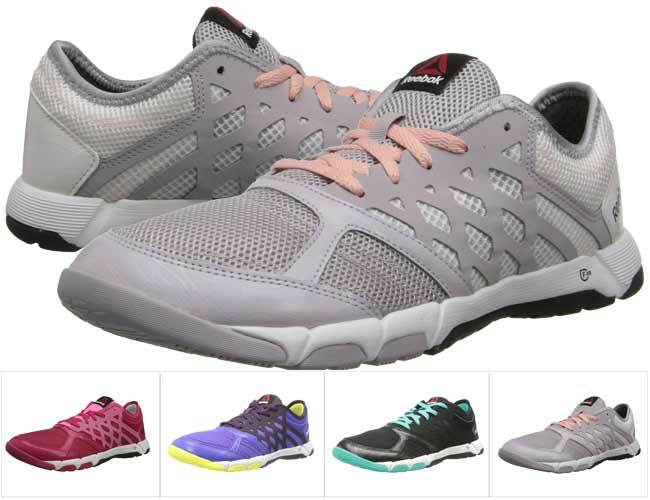 So by combining all the important features for the top CrossFit shoes, including: comfort, functionality, breathability and durability, these are definitely ones we strongly recommend for ladies who want to get the best out of their workout sessions. 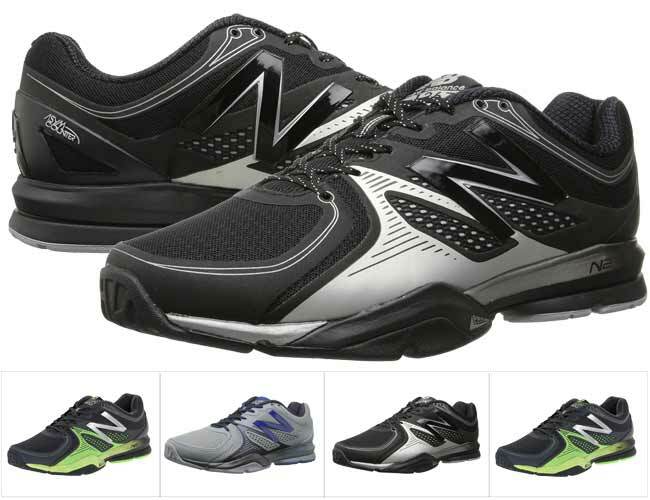 What are the best crossfit shoes for men? For men who are looking for the best shoes for a highest level performance during cross training workouts, the New Balance MX20v6 Minimus Cross-Training for men is a model they should definitely try on. The stable platform and low differential provided by the minimalistic 4mm heel to toe drop improved the stability and the posture of the body during the intensive workouts. In fact these are great for any interdisciplinary workouts. The feet remain dry and odor free during the most intensive workouts given the odor reducing antimicrobial treatment of these training shoes. The MX20v6 Minimus model have satisfactory durability, given that they are for indoor use in the gym. 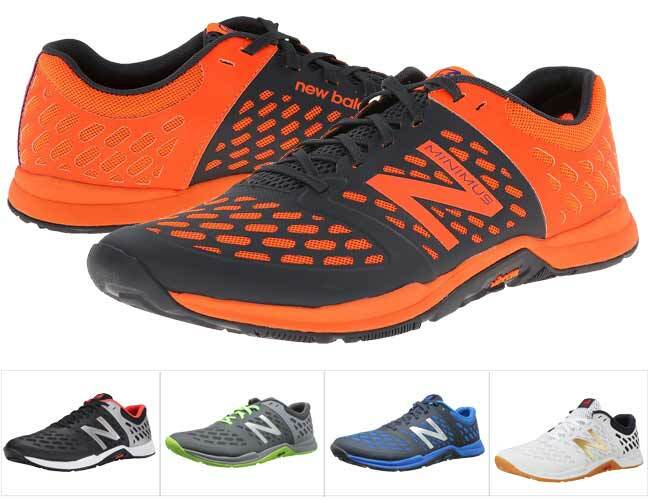 With their minimalistic design, the lightness and flexibility of their soles, and that close-to-the-ground differential, these sneaker from New Balance are no doubt one of the top four recommended shoes for CrossFit for men. Reebok’s Nano 7 for men have been designed to improve and increase their durability throughout long and intensive workouts, and offer the ultimate performance during the WODs. They are light, and yet offer extra protection and safety for the feet and the body during weightlifting and exercise especially due to their RopePro protection wraps, as well as their shock absorption functionality. Even though these are minimalistic and with a low differential, their toes are reinforced for better foot to floor positioning during weightlifting and exercises. These training shoes from Reebok offer great breathability to keep the feet dry and comfortable even after the most gruesome WODs. So, when in search of comfortably, functional, breathable and durable training shoes for CrossFit, Reebok’s Nano 7.0 for men is a pair definitely worth noting. The MX1267 Cross-training shoes for men are designed to suit interdisciplinary workouts, and are suitable for men who practice CrossFit on a regular basis. They have a minimal design with a 4mm heel to toe drop, and allow for a better feel of the feet during the weightlifting and other training sessions in the gym. With a weight of just 188 grams (6.5 oz), these training sneakers add to that barefoot feeling, and yet provide the safety and protection from injuries during intensive workouts. Made from high quality synthetic materials, they are durable but still have good breathability giving that extra comfort for the feet during WODs. Another pair which we highly recommend for men are the Inov-8 FastLift 325 Cross training shoes for men. This shoe from the off-road running brand is designed to provide durability and comfort to those who wear it, and to allow the men to reach their peak performance during the workouts or other intensive activity. The FastLift 325 feature a special extra FASTLIFT structure made from special cylindrical tubes in the heel which gives additional support and stability especially during weightlifting, and yet these are incredibly lightweight and flexible allowing for more flexibility of the foot and for a closer contact with the floor surfaces during training sessions. They also feature special external heel cage systems for added stability, but have a comfortable nylon ripstopp upper, which fits the foot perfectly. These Inov-8 shoes for CrossFit are great for men who don’t want to switch from weightlifting shoes to others when switching exercises. 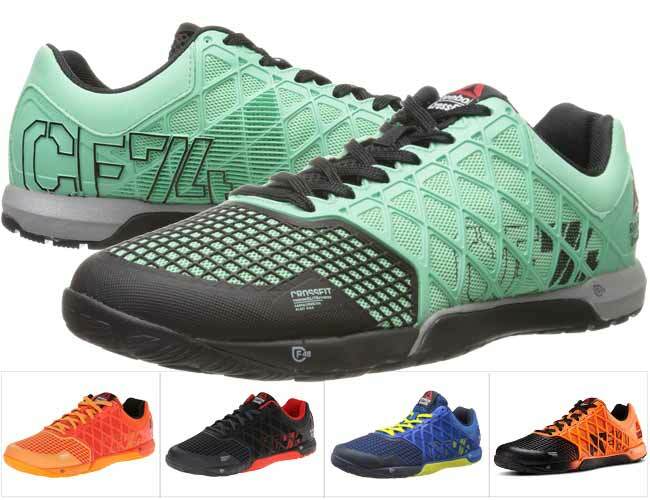 They offer the stability for successful weightlifting and at the same time are comfortable, light, breathable and durable necessary to make them one of our top four shoes for CrossFit for men at the moment. Should You Be Using Regular Running Shoes for CrossFit Training? It is strongly advised that you look for sneakers which are specifically designed for CrossFit when choosing a pair for your training. Unlike the conventional running or parkour shoes, the most suitable for crossfit are these designed to provide extra stability and help work out the legs to the maximum level during the various intensive exercises. Normally, CrossFit shoes have flat and low soles without that extra cushioning of other sports footwear, in order to keep the feet closer to the ground. Also, the soles should be flexible enough to promote the natural moment of the feet during the different WODs. Some people think that because many of the CrossFit WODs include Olympic weightlifting, than the traditional Oly shoes made for this type of sports are suitable for CrossFit, but the truth is that the Olympic lifting shoes whilst adding that extra stability and support for the feet and ankles are much too heavy, bulky and stiff for the other types of movements and exercises including in the CrossFit workouts. The characteristics of good crossfit shoes. When choosing yours, you must keep in mind that there are a few crucial characteristics you should be looking for in the model of your choice. It is of utter importance that the pair you pick offer the functionality to meet all the different types of workouts and exercises in cross training WOD training sessions. Naturally, it is best to have a pair of sneakers suited for the particular WOD type, but this involves some serious expenses, so it is better to find a model which are suitable for all types of exercise.Of course, the choice of the best shoes for your particular needs depends on your personal training goals, and your workout purpose. Another important feature which you should always look for when reading CrossFit shoes reviews is their breathability. Believe us, this is one important feature to never dismiss if you want your feet to remain healthy, dry and comfortable during the workouts. Naturally, you must pick the those that provide your feet with the comfort necessary to perform all those exercises in the gym. Wearing uncomfortable shoes during CrossFit WODs can be a miserable experience, and will do you more harm than help you keep that body looking and feeling great. The sneakers designed and made for CrossFit are in most cases minimalist shoes, which are low to the ground, so they are lightweight and allow extra flexibility as well as stability for the feet and body during all the various types of exercises included in the WODs. When you decide to invest in CrossFit shoes, it is only natural to look for ones which offer maximum durability, so that you can wear them throughout more WODs and for a longer time. They should be of high quality, so that they endure all the movement and exercises involved in the training sessions.